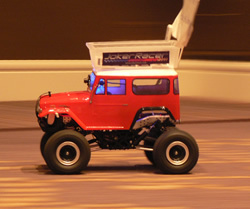 Joker Racer R/C Server is the world’s first linux server exclusively designed for radio control model cars to enable remote drive over the internet. 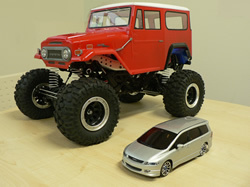 You can take control of your radio control model car from your browser by using this gadget. By sharing this service, you can visit somewhere you actually can not visit by the aid of other user who has this gadget at the right place. You will feel like "Sharing the world" with Joker Racer R/C Server. We support three types of needs that may arise for Joker Racer. 1. I want to drive the world! 2. I want to accommodate more users to my event via internet. 3. I want to promote my service/product with innovative way of PR. For users who want to Drive! For all who want to drive Joker Racer around the world! 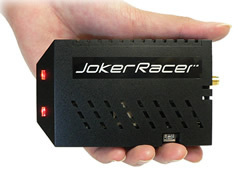 We just start shipping Joker Racer R/C Server for limited purposes such as public events. Currently, we do not have that much places to visit, but the places will be increased as our service expands. So please stand-by! 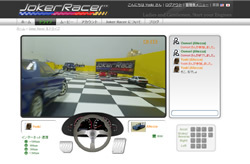 Sorry, we are not ready to sell Joker Racer R/C Server. We will prepare for it, but still can not tell 'when'. So the prices are yet to be determined. Why don't you use Joker Racer to warm up your event? You can invite those who actually can not visit the place to your event via internet. 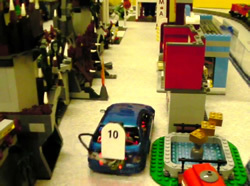 You can give a unique opportunity to internet visitors by sharing the exciting experience of driving in the event. Our real time chat featue will also help visitors to communicate each other. Why don't you start innovative and "real" promotion with Joker Racer? You can give a unique and outstanding impression for your web visitors by sharing the experience of "remote controlling"your product (or driving inside your product or whatever :) over the internet. We have an wide variety of optional services for your customize needs. Please feel free to make your inquiry. * Prices may vary according as your requests.